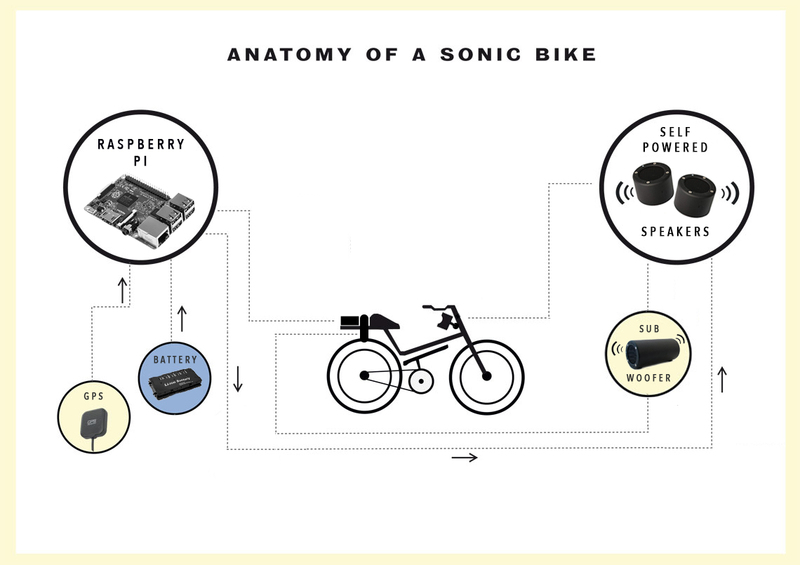 The speakers are positioned on a bar underneath the handlebars so as to immerse the rider in the sound. The kit is fitted into a box on the back rack of the bike. A sub is planned to also be fitted to the back rack of the bike. Details of all hardware including how to fit the speaker bars and kit box is in the Hardware section. 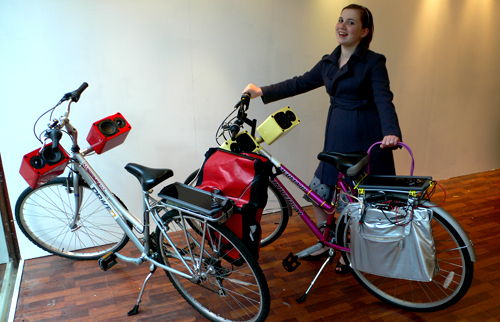 In 2008 the kit was stored in coloured handbags fitted to the back wheel of the bike. A solar panel was also attached to the back rack to trickle charge the battery while out and about. The bikes were an assortment of second hand bikes in different sizes. In 2012 the fleet of yellow bikes were made for The swamp that was.... 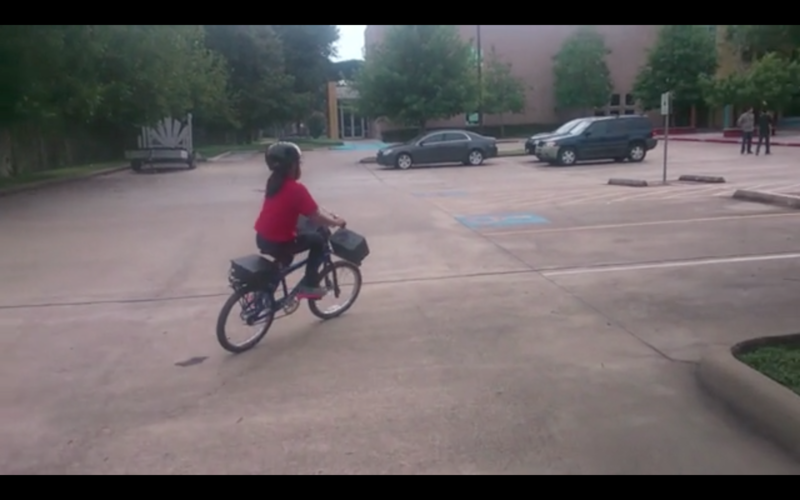 This fleet of bikes had the first rear mounted kit box and didn't use the solar panel as it was ineffective. The bikes were dutch bikes. In 2015 the speakers were flipped upside down so as to face forward and play to a passing audience. 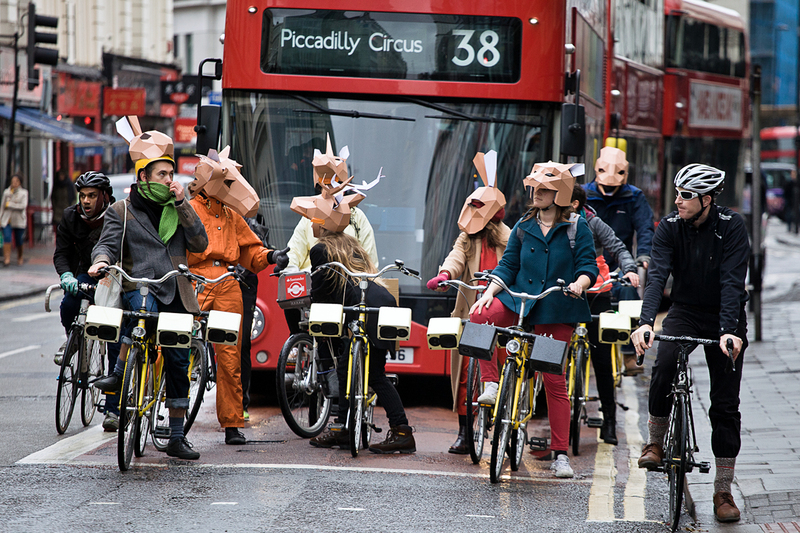 The sound would reflect off the floor and when ridden in a group in the Animals March this creating a noticeable audio performance riding through the city. 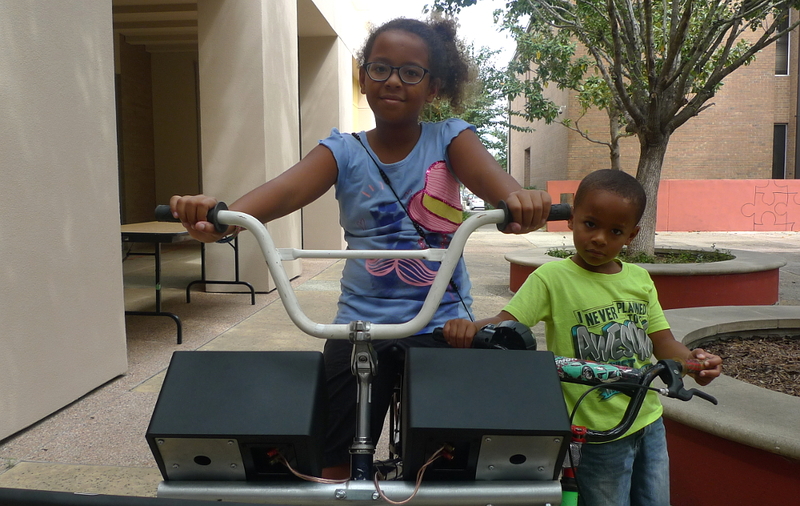 The hardware has also been developed to fit a child’s bike, this was first done in America for 2nd ward - a bicycle opera by Kaffe and Monse Lozano, making four new kids bikes. 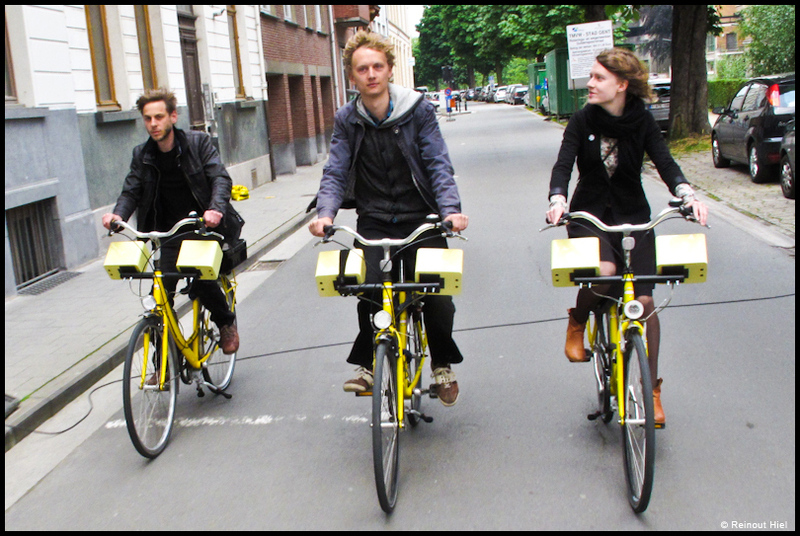 For these we used the same hardware and configuration, but the speaker bar was moved to behind the handlebars so as to leave enough space for the cyclist. Two more kids bikes were made in Brussels for Finding Song Home by Kaffe and Ludo. 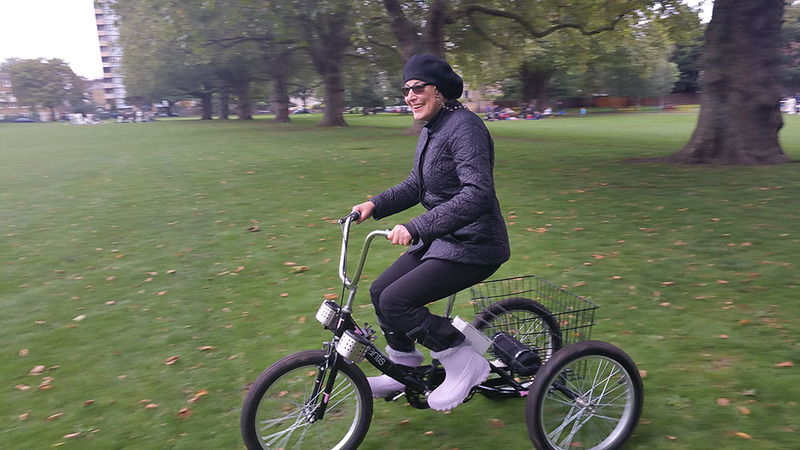 In 2015 a sonic trike was made for The Coventry Pedalling Games. 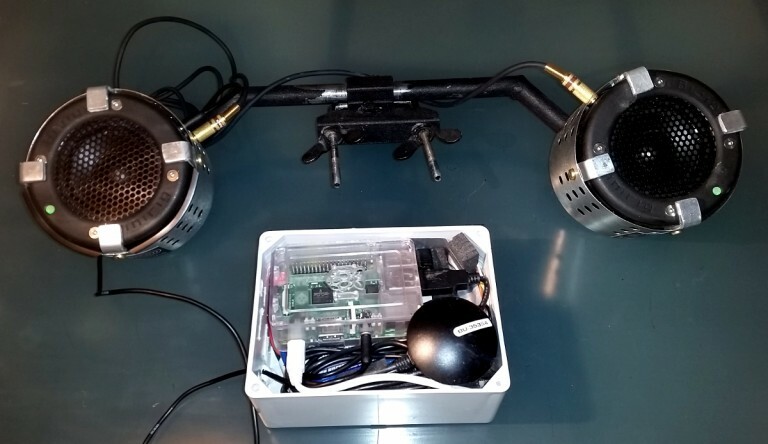 The configuration of the kit was redesigned at the same time as some new items of hardware were picked - new smaller self powered Minirig speakers, the Raspberry Pi2 and a smaller 5v battery. Kaffe and Nick designed a new speaker bar and found a new much smaller kit box. 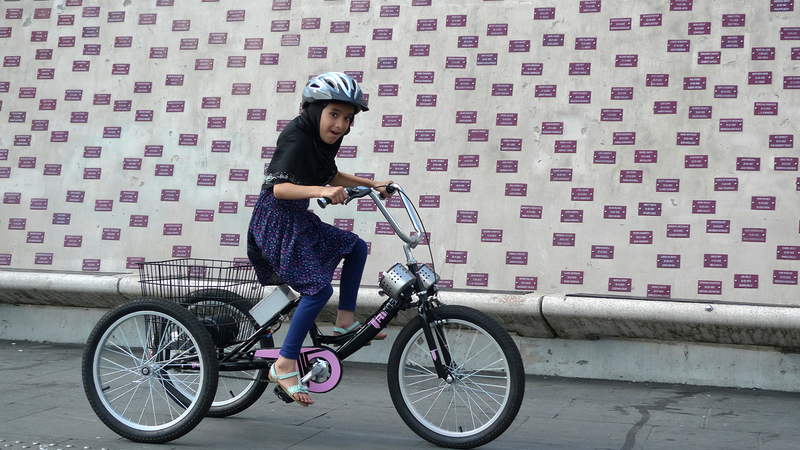 The sonic trike is the right size for both children and small adults and was used in http://sonicbikes.net/the-summer-pedalling-games/ 2015. 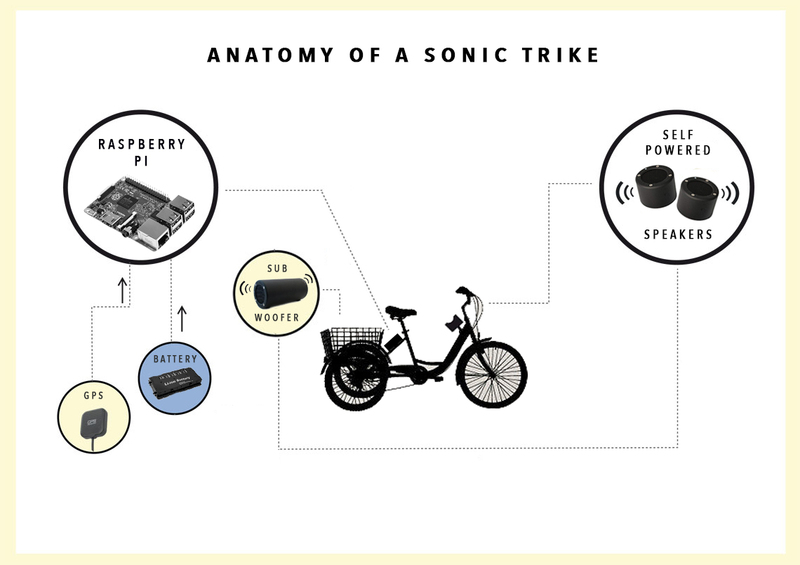 Following on from the trike design, the smaller kit and speaker bar enable a portable kit.